As much as we love our four-legged friend, some of us have a tendency to spoil them a little bit, giving them treats containing ingredients that might not be that great for them. When your pup is looking at you with those puppy dog eyes, it’s difficult, if not impossible, not to spoil them a little. But, with spoiling, comes the importance of providing healthy dog treats, instead of treats filled with calories and unhealthy ingredients. A treat is not only a sign of love, but it’s also something that’s a reward for good behavior. This is especially the case if you’re training your pooch and using a reward-based system of learning: He does something right, he gets training treats. Whether you’re in serious training with your dog or you just want to give him something a little different every once in awhile, you want to make sure it’s as nutritious as possible. The Veterinary Oral Health Council (VOHC) provides a list of dental chews that can go a long way toward knocking off the tartar and plaque that can build up in your dog’s mouth over time.1 This can lead to a wide range of problems, such as gum disease and oral infections. Unless you have a regimen of brushing your dog’s teeth every night, or go to your vet for regular cleanings, dental chews are healthy dog treats and are the best way to help ensure your canine’s oral health is as good as it can be. Look for the most natural dental chews available, and avoid any with wheat or preservatives. Jerky treats are popular among pooches, but be warned: they’re usually eaten fast and make a little mess. A lot of pets simply can’t get enough of dog biscuits, because they love to chew and crunch – and they obviously love the taste, as well. There are a lot of different brands out there, but you need to look closely before choosing one, to make sure they’re healthy dog treats. Make sure they have all-natural ingredients, such as apples, sweet potatoes, chicken, and others. Try to stay away from products that contain preservatives, wheat, and artificial additives like coloring or flavors. 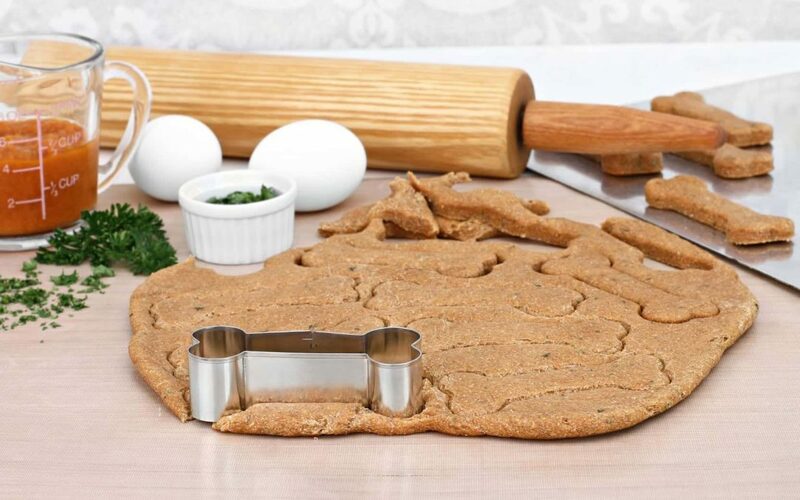 Homemade dog biscuits are another great options! You can also find plenty of recipes online to make your own biscuits and other homemade treats. Even better use a cookie cutter for fun shapes (not that your pooch will notice, but it’s fun nonetheless). If you want to mix in a little seafood to your dog’s diet as an occasional treat, baked salmon can be great healthy and natural dog treats. You have to make sure it’s baked, however, and never give your canine raw fish of any kind. That could not only make your dog extremely sick, it could even be fatal. 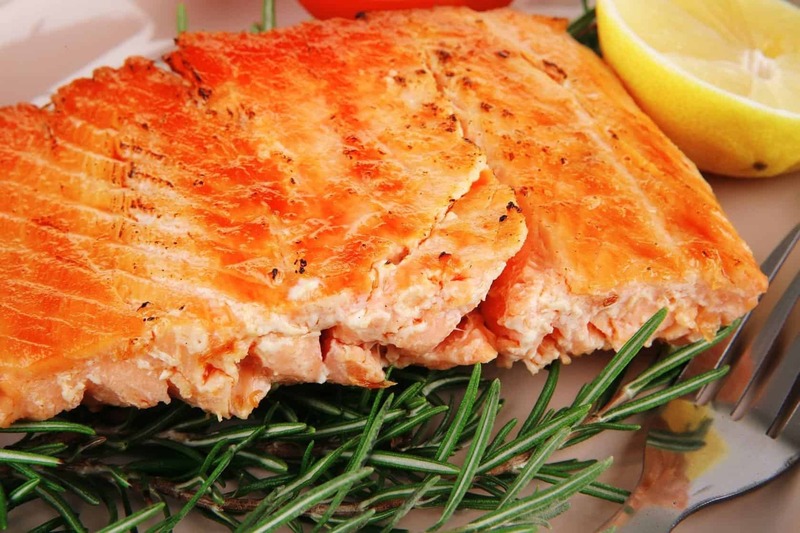 Salmon is a lean meat and is an excellent source of not only protein but also omega-3 fatty acids. These help make sure your dog’s immune system works as it should, and also promotes a shiny, healthy coat. Look for an easy recipe online for the best way to cook the salmon, and at what temperature. The sweet potato is another human food that makes for healthy dog treats that your four-legged friend will love. It’s not only full of nutrients such as vitamins C and A that are great for skin and the immune system, it’s also a great source of fiber, which can make sure your dog’s digestive tract works properly. You can find sweet potato treats for dogs at your local pet store or make them at home. For a homemade touch, simply boil and puree some potatoes and put a spoonful or two in your dog’s bowl. Instead of feeding your pooch soft, baked chunks of sweet potato, these sweet potato chews last (a little) longer and are gentle on their teeth. They require about 3 hours of baking, though, so make sure you have the time before committing. Prep for these chews is easy. Set your oven to 250 degrees Fahrenheit. Slice your sweet potato length-wise, no thicker than ⅓ of an inch. Lay them on a baking sheet, lined with parchment paper if you have it, and bake for 1 ½ hours. Flip the chews over and bake for another 1 ½ hours. Let them cool before giving them to your dog, and store them in the fridge. A little baked chicken once in awhile is another great lean meat option for healthy dog treats. It’s rich in essential amino acids, which promote overall health. And provides protein for proper immune system functioning as well as a boost of energy. Just make sure you don’t overdo it, don’t put any seasonings on it, and never feed your dog chicken that contains bones. Pumpkin is known as a remedy for a dog’s upset stomach, but it’s also great for healthy dog treats. Put a tablespoon of canned pumpkin in your dog’s bowl and you’ll be amazed at how fast it disappears. Pumpkin — since it contains A LOT of fiber — is a great way to fight both diarrhea and constipation. So if your pup is having bathroom troubles, try a little pumpkin. Plus, it has other healthy ingredients like vitamin A (great for eyesight), potassium (which promotes healthy nerves and muscles), and many other important ingredients. But remember: Since too much vitamin A can be toxic to dogs, don’t make pumpkin a regular part of your pup’s diet. Bananas are healthy for people and make healthy dog treats too. They provide long-lasting energy through fructose, sucrose, and glucose, and they also promote healthy digestive functioning because they’re high in fiber. The magnesium in bananas also helps to keep bones strong. Simply slice a banana and give your dog a few small pieces. If your dog is teething, or the weather is hot, he’ll love chewing on some small slices of frozen banana. Dried, chewy bananas are another great way to treat your pup. The chewy texture is good for their teeth and will keep them busy for about a minute before they’re asking for more. Like the sweet potato chews listed above, these banana chews are easy to make. Peel each banana and cut in half, length-wise. Lay them on a baking sheet. Preheat your oven to about 210 degrees Fahrenheit and then bake the bananas for 1 ½ hours, or until chewy but not crispy. As long as your dog doesn’t have a peanut allergy, they will enjoy some substantial benefits from having peanut butter. However, it’s important that the only peanut butter you feed your friend is natural. Most popular peanut butters contain a lot of sugar and other ingredients that are very bad for your dog. Natural peanut butter contains a lot of healthy ingredients, such as protein and “good” fats that promote heart health. Plus, they’re rich in vitamin E and vitamin B. Just don’t make it an everyday treat, because its fat content could lead to some extra pounds for your pup. 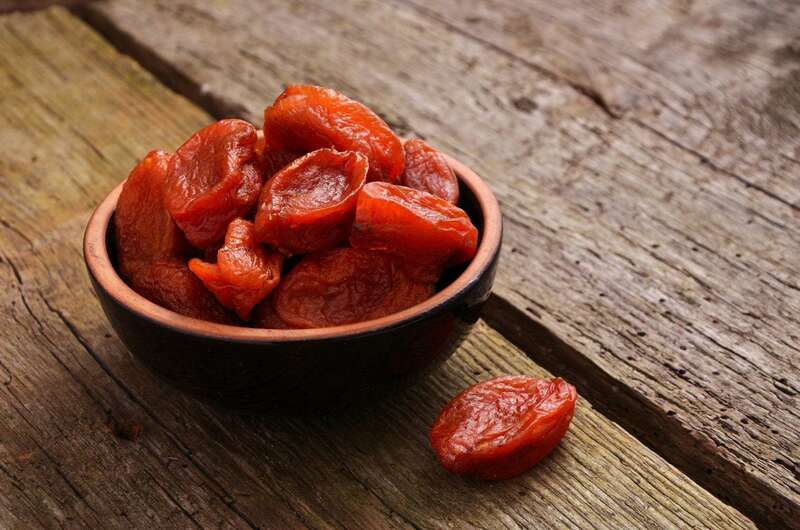 Dried apricots are other healthy dog treats, as long as your dog eats them in moderation. They’re filled with fiber as well as many other nutrients that help your dog’s immune system. These nutrients include beta-carotene, which is good for vision, and potassium, which helps improve muscle and bone health. Never give the pit of an apricot (or any food) to a dog, because it’s a choking hazard and could be poisonous. You know how good carrots are for human health? The same holds true for your pooch. Carrots help keep a dog’s teeth clean and are also low in both calories and fats. If your dog is a little on the chubby side, carrots are healthy dog treats that can help decrease his appetite so he feels more satisfied at dinnertime. Carrots also promote healthy bowel movements because they increase the amount of hydration in your dog’s tummy. You can serve them raw or cook them. If you choose the latter option, just make sure you don’t add any ingredients such as sugar, spices, or salt. This DIY recipe is super easy for any pet owner, and combines two already healthy treats into an exciting snack. You can simply dip a baby carrot into a teaspoon of natural peanut butter and voila! An easy treat. Another option is to use shredded carrots, combine them with peanut butter, and roll them into little balls. These peanut butter carrot balls can be fed fresh or frozen. For anyone looking for a recipe that includes more than 2 ingredients… this one has 3! These banana ball bites are a little higher in calories, so they should only be about the size of a dime or so. First, preheat your oven to 350 degrees Fahrenheit. Then, mash ⅓ of a large banana in a mixing bowl. After, combine 1 egg and ¾ cup natural peanut butter with the banana until the mixture is thick and gooey. Spoon small dollops onto a parchment paper lined baking sheet and bake for 10 minutes. Another very easy healthy dog treat recipe that’s great for your dog’s digestion. There are only 3 ingredients: 1 can of pumpkin, 1 cup greek yogurt, and ½ cup natural peanut butter (there seems to be a peanut butter pattern here!). Greek yogurt can be substituted with another yogurt, as long as it’s low-lactose or lactose-free. Fruity Frozen Yogurt is a tasty treat for your dog, but don’t let them eat the stick! Simply mix these ingredients in a mixing bowl until they’re blended. Spoon the mixture into an ice cube tray, and freeze overnight. 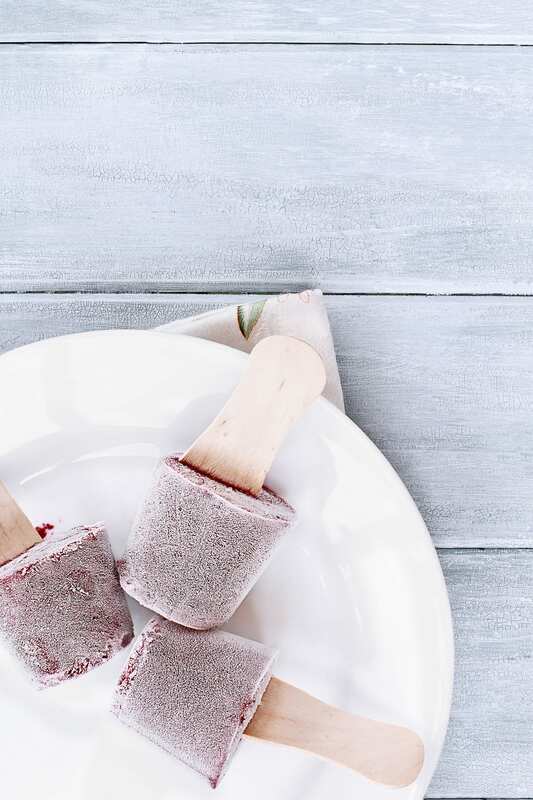 These frozen treats are fantastic for a refreshing summer treat, for dogs and their humans alike. The recipe calls for a handful of watermelon chunks, a handful of raspberries, and 3 tablespoons of greek yogurt. Make sure your watermelon chunks are seed-free before beginning! Blend these ingredients in a bowl and spoon the mix into an ice cube tray. Freeze and enjoy! Organ meat is some if the healthiest meat you can feed your dog, so why not include them in your DIY dog treat recipe book? Either beef or turkey liver will work in this recipe, but the recipe does require more equipment and prep than others on this list. You’ll need: a food processor, 13×9 pan, and wire cooling rack. 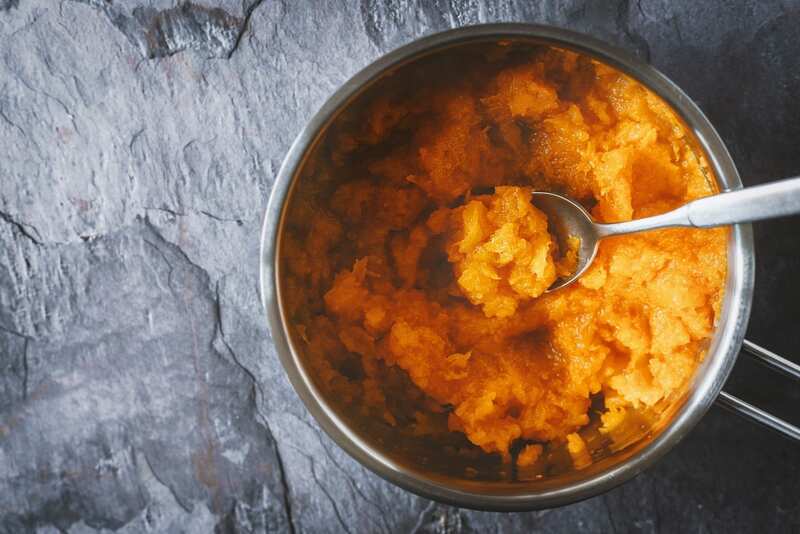 Ingredients: 1 lb organic liver, 1 egg, 1 ¼ cup sweet potato flakes (regular potato also works, but only use flakes without added flavors or preservatives), and broth. First, preheat your oven to 400 degrees Fahrenheit. Then chop the liver into small pieces and place into the food processor, along with the egg and potato flakes. Pulse to blend, and add the broth as necessary to keep the mixture thin enough to spread into the baking pan. Bake for 25 minutes, cool for 5, and then empty the pan onto the wire rack. When the cake is completely cool, cut into small squares and let your pup enjoy! Did you know that chickpeas (garbanzo beans) are a great source of protein? Combine them with pumpkin and you’ve got an easy, healthy DIY dog treat recipe! Okay, there’s rice in there too, mostly to hold the mix together. You’ll want to preheat your oven to 400 degrees Fahrenheit before starting. Then, dump 1 ¼ cups of PLAIN canned chickpeas into a bowl and mash them up until there aren’t any whole pieces left. Yes, it’s important to use plain, unseasoned chickpeas, because they’re the safest for your dog to eat. After, combine ½ cup of cooked rice (white or brown), and 4 tablespoons of canned pumpkin to the chickpeas. You can make them any size you like, smaller for training treats, bigger just for fun. Bake for about 30 minutes. For larger cookies, flip them after 20 minutes. Allow them to cool before feeding. Fruits and vegetables – Green beans not only provide the crunch that your dog loves, they’re also low in calories. Apples and raspberries are also low in calories and high in fiber. This will not only promote good digestion, but will also give him a feeling of fullness.2 As a result, your dog might not attack the dinner bowl quite as hard as usual. Popcorn – If you’ve ever snuck your pup a few bites of popcorn, now you don’t need to feel guilty. 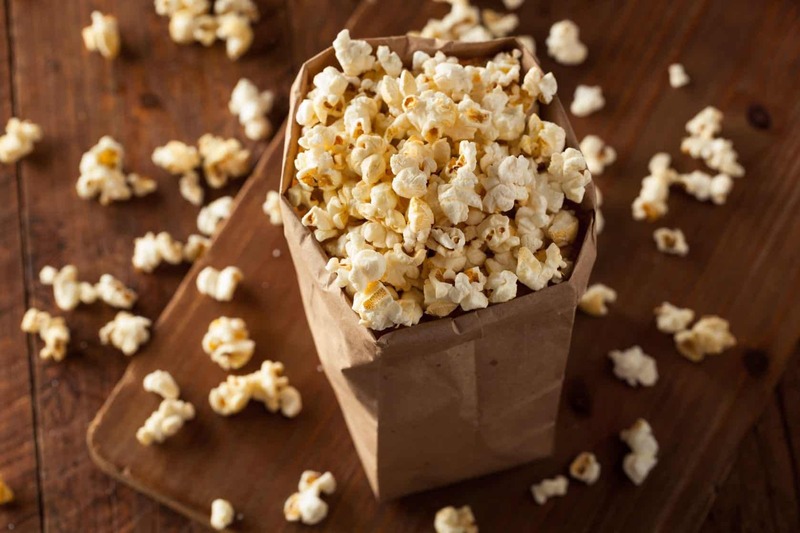 Plain popcorn tastes great and has very few calories. Just make sure it doesn’t contain any salt, butter, or other potentially fattening ingredients. Dog food – Yep, plain old dog food also works great as a treat. If you typically feed him dry food, a couple of pieces of kibble will help satisfy those cravings your canine might be experiencing between meals. Dogs usually don’t care a whole lot about what kind of treat they get, just as long as they get something. You’ll be surprised just how effective dog food can be. 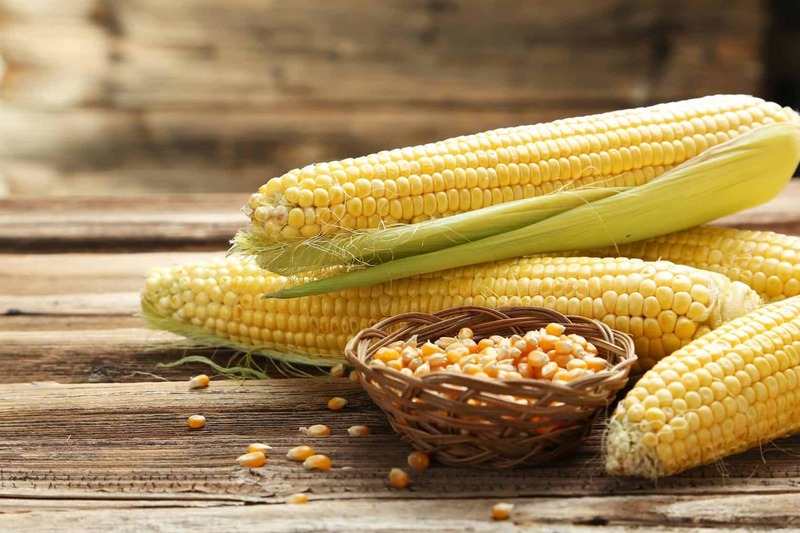 Corn on the cob – While a dog can digest corn, he CAN’T digest the cob. A corncob can cause a blockage in the small intestine that will need to be surgically removed – if it isn’t, that could potentially be fatal. Dairy – While a little bit of milk may just make your dog a little gassy… if he gets too much, that could lead to major problems. If you have to give your canine any sort of dairy product, make sure it’s lactose-free. Chocolate – Hopefully, you already know that dogs can’t digest chocolate, and too much of it can be deadly. But even a small amount can lead to diarrhea, vomiting, and possibly even heart damage. Call your vet immediately if your dog ingests chocolate. Sugar – Never give your dog any sort of sugar-filled treat, such as a cookie. He may love it, but over time — just like in humans — it could lead to diabetes, dental problems, and obesity.3 He’ll be much better off if you avoid giving him any sugar whatsoever. Whether you grab something from the cabinet, make your own dog treats, or buy them from the store, there are some tried and true rules when it comes to ensuring your pet’s health and safety. Most dog owners (or any pet owners!) would never just grab the first thing off the shelf when buying treats, but you need to make sure you read the labels carefully. All manufacturers are required to list all of their ingredients on the label – with the ones that are more prevalent at the top of the list. So look for products that have real meat at the top of the list – especially ones that are advertised as meat-flavored. For example, if you see a treat that says it’s beef-flavored, but beef is far down the list, look for something else. The label should also include the number of calories that are found in each serving. This is extremely important, especially if you plan on giving your dog a few treats – even healthy dog treats – each day. If they’re high in calories, over time, that could lead to significant weight gain. 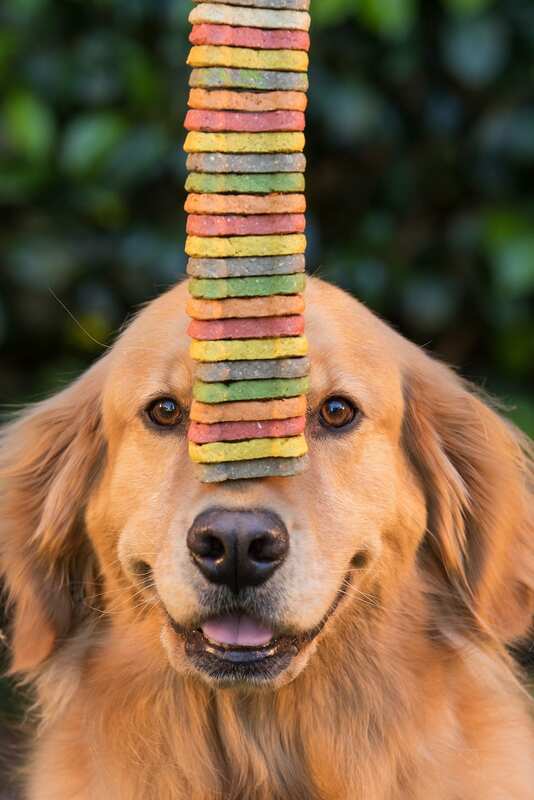 Studies show that treat time is much more exciting for a dog when he has to do something to earn it.5 For example, you can use healthy dog treats as an incentive to exercise more, solve a puzzle (such as figuring out how to get a treat that’s inside a toy), or simply behave better. Most experts recommend that you give your dog a treat for actually accomplishing something, rather than just hand it out randomly. As with all new dog treats, always check with your vet first to make sure your pet won’t suffer harm from any of the ingredients contained in the treats you’re considering. He may have an allergy you don’t know about, and that could lead to major problems. Always err on the safe side to help make sure your dog stays as healthy as possible for many years to come. 1 Vohc.org. (n.d.). Veterinary Oral Health Council Accepted Products for Cats and Dogs. [online] [Accessed 21 Jul. 2017]. 2 ASPCA. (2017). Healthy, Safe Snacks to Help Your Pet Slim Down. [online] [Accessed 21 Jul. 2017]. 3 Schenker, M. (2017). Cite a Website – Cite This For Me. [online] Caninejournal.com. [Accessed 21 Jul. 2017]. 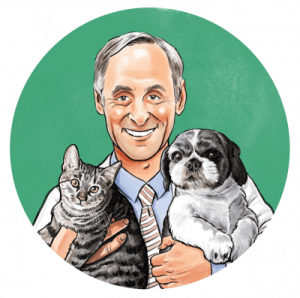 4 Association for Pet Obesity Prevention. [Online].  https://petobesityprevention.org/pet-caloric-needs/ [Accessed 1 Aug. 2018]. 5 Okamoto Y, e. (2009). The feeding behavior of dogs correlates with their responses to commands. – PubMed – NCBI. [online] Ncbi.nlm.nih.gov. [Accessed 21 Jul. 2017].